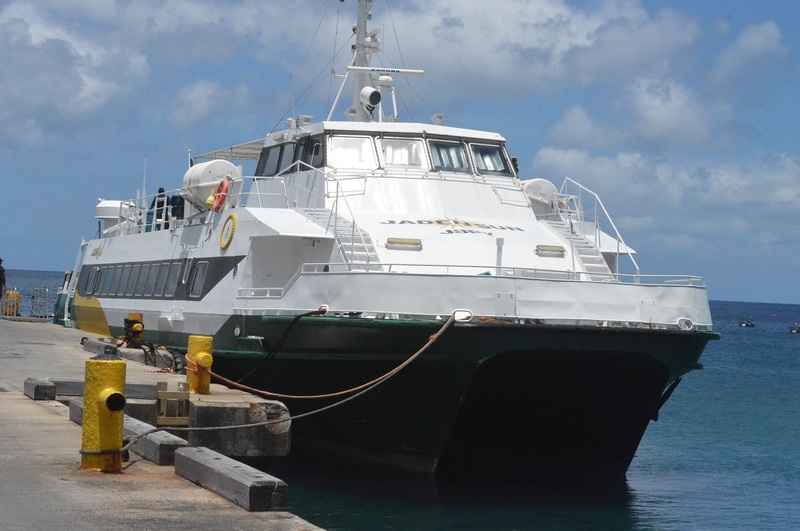 The Government of Montserrat and Jaden Inc., owners of the Jaden Sun vessel, have signed a one-year contract for the provision of ferry services to the island from Monday, October 1, 2018 for a period of 12 months. The contract was signed at the Office of the Premier on Wednesday, September 12, 2018. The contract signing follows a procurement process which began in July 2018 and which was conducted through the Ministry of Finance. The MV Jaden Sun was deemed the successful bidder from amongst a total of three tenders, which were received by the August 1st deadline. Under the contractual agreement, MV Jaden Sun will operate its services between Montserrat and Antigua under the guidance of the Access Division, Office of the Premier. The contract also makes provisions for occasional trips to neighbouring islands and for a shadowing programme for local individuals who wish to be trained in the field. Individuals interested in this programme should contact the Access Coordinator, Ashley Lindsey who will make the necessary arrangements with the Captain. Jaden Sun is registered in Kingstown, St. Vincent and the Grenadines and is captained by Elvis Gooding. MV Jaden Sun has a passenger capacity of 218 and is the holder of the current Ferry contract which ends on Sunday, September 30th, 2018.